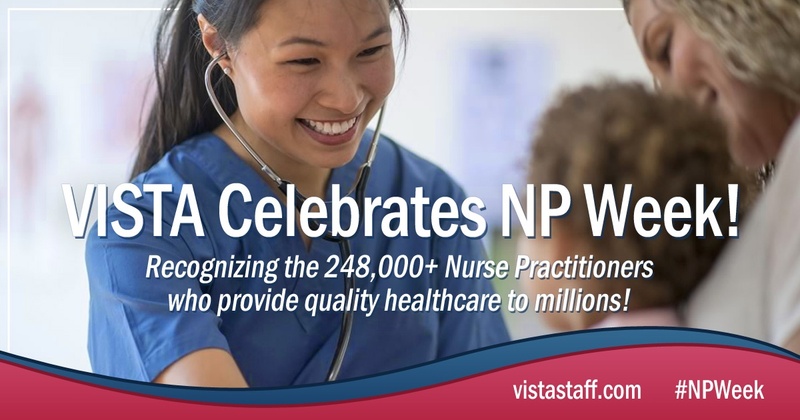 The role of the nurse practitioner (NP) will be showcased November 11–17, 2018, as NPs across the country celebrate more than 50 years of practice during National NP Week. In the United States, this distinguished group of health care professionals number approximately 248,000 strong, with an additional 23,000 NP students graduating each year. Events held in communities around the country will acquaint local citizens with the role of NPs as providers of high-quality, cost-effective, personalized health care and will highlight the value of choosing an NP for primary, acute and specialty care. NP practice offers a unique combination of nursing and health care service to patients. Focusing not only on diagnosing and managing acute and chronic illnesses, NPs integrate health promotion, disease prevention, counseling and patient education to help patients understand their complete health picture. In a population that is aging, with baby boomers becoming seniors in growing numbers over the next 10 years, having choices about health care providers will become even more important. National NP Week brings visibility to the role of the NP, helping consumers make wise choices when selecting their health care provider. To strengthen public awareness of NPs and access to primary health care, the American Association of Nurse Practitioners® (AANP) has launched “We Choose NPs,” a national public awareness campaign integrating television, radio, digital and in-person events in communities nationwide. Visit WeChooseNPs.org to learn more. To learn more about NPs, log on to the AANP website at aanp.org. AANP is the largest professional membership organization for NPs in all specialties and includes more than 90,000 individual members and 200 organizations. To locate an NP in your community, visit npfinder.com.